This is probably my favorite way to flavor my tea. Grabbing fresh mint straight from the garden and letting it steep with the tea (if making it with hot water) or "marinating" it with instant iced tea is the best way to bring out the flavor. This is classic. Do a half-and-half: half iced tea, half lemonade for a perfectly lemon and deeply rich flavor. Make sure to serve each glass with a lemon wedge! Skip the ice cubes next time you make iced tea. Instead, grab a handful of frozen, mixed berries and add them to your pitcher. As the berries melt, they will release their sweet flavors into the tea. Garnish each cup with two or three berries. 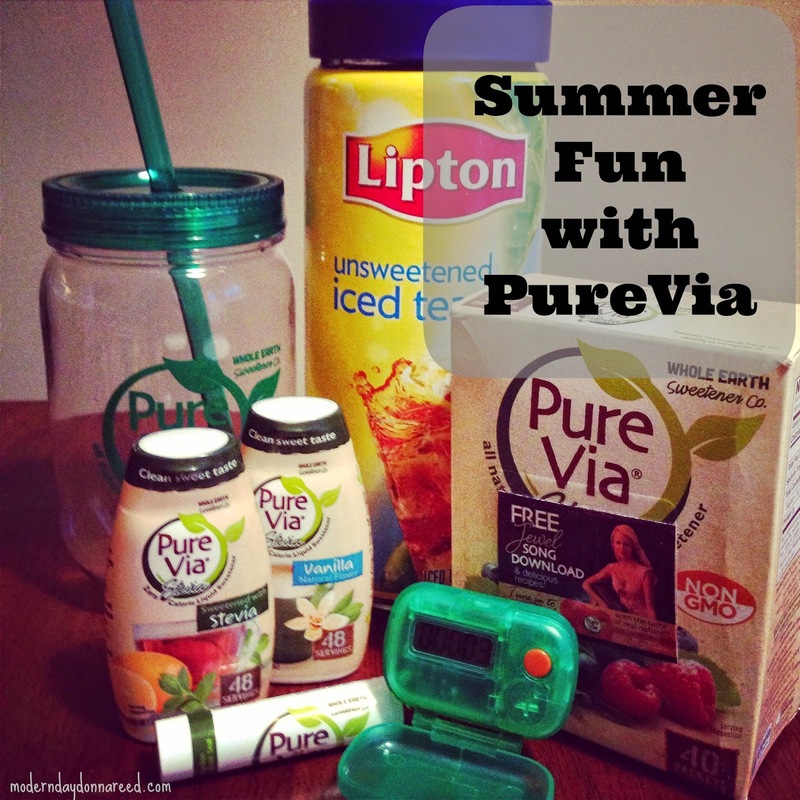 I'm trying to cut back on refined sugar in my life, so I love PureVia as an alternative to sweetening my tea. 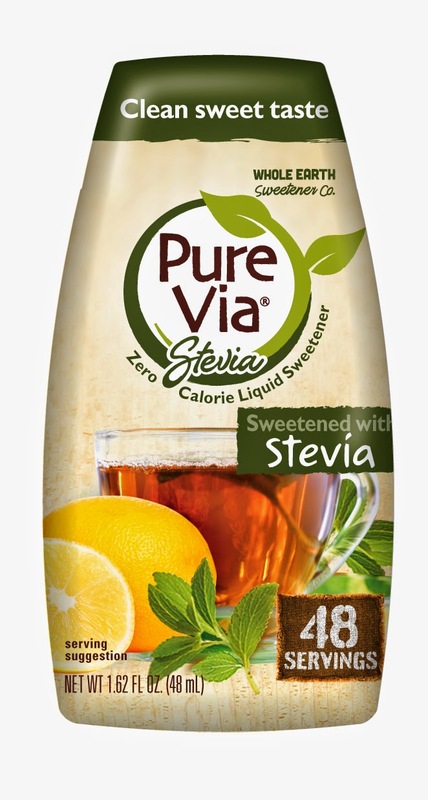 PureVia is an all-natural sweetener derived from the Stevia plant. 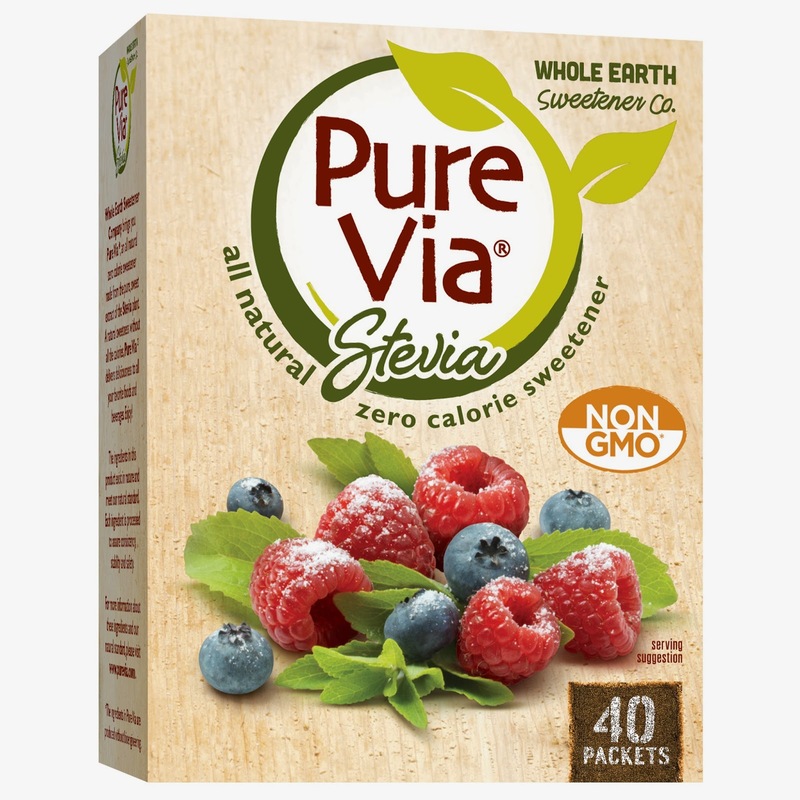 You can enjoy it in non-GMO packets or in liquid form (including vanilla flavored)! 1 packet or 1 squeeze of liquid is the sweetening equivalent of 1 teaspoon of sugar. 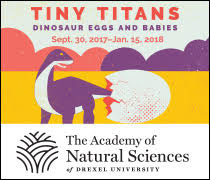 It's everything you need for a summer of sweet, sweet fun! Stay connected with PureVia online, on Facebook and Twitter.